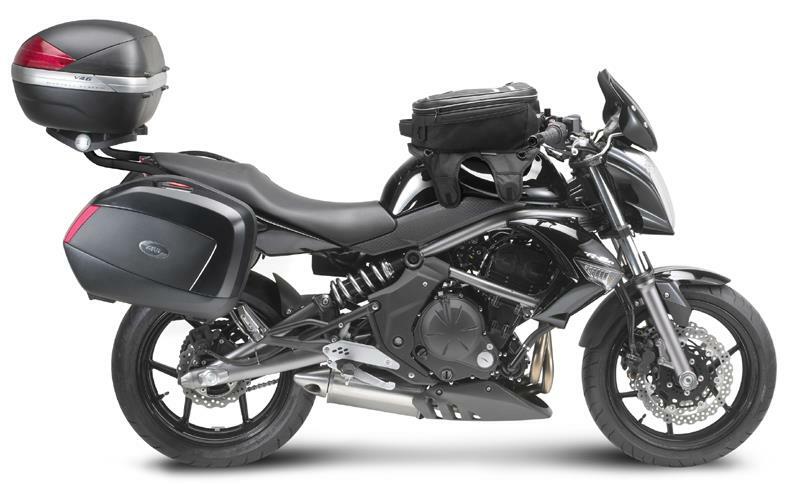 Experts in motorcycle luggage systems, Givi, have just announced ranges for two of the most popular budget bikes of 2009, the Kawasaki ER-6n and the Suzuki Gladius. Specific Monorack arms – This allows for a big top case to be fitted. 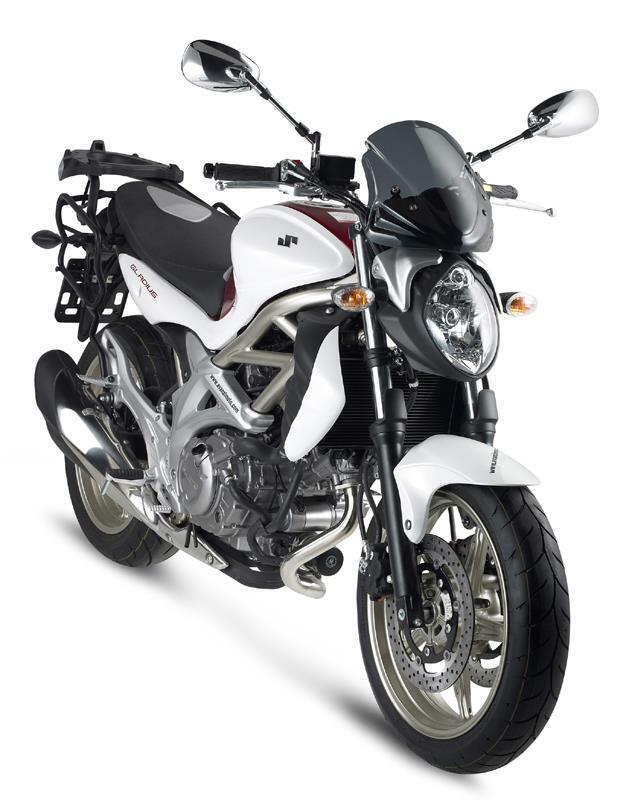 You need to remove the hand hold of the bike that is replaced by the side arms of the GIVI plate. The case in the picture is the V46. Tubular pannier holder - You can mount only the new V35 MONOKEY SIDE that should be matched to the specific back Monorack arms. If you chose a top case you need to buy the PLX449KIT that allows to fit the side arms to the plate without mounting the Monorack arms. Matt black screen - By conveying air upwards, this screen offers some protection to the rider. You need the specific A448A kit to fit the screen. Sizes: 29 x 28.5 cm. Tubular side holders for side soft bags. 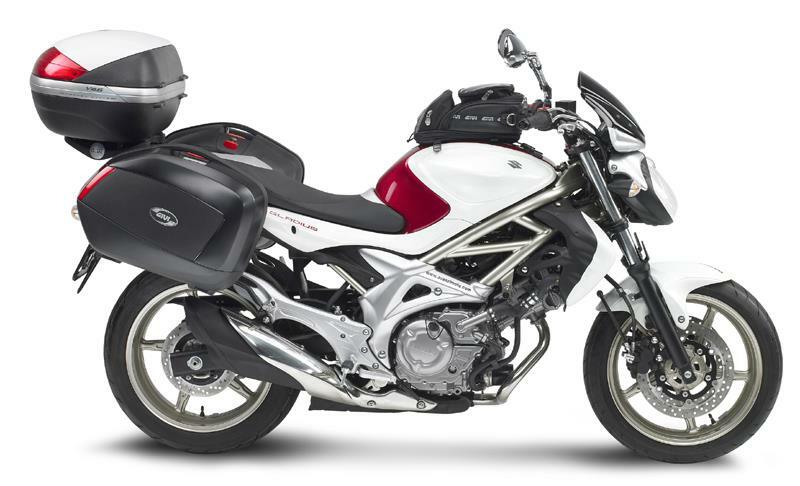 For more information on available models, visit the GIVI website, “soft bag” section. Expandable magnetic tank bag mounted on the bike. Has an 18-22 litre capacity and is includes a map-holder and rain-cover. Specific plate for Givi Monokey top case range - You must remove the original hand hold of the bike that is replaced by the side arms of the GIVI plate. Maximum load allowed: 6 Kg. The case in the picture is the V46, with coloured cover. SR121M – An alternative to the previous plate, specific for the GIVI MONOLOCK® top case range. Tubular pannier holder -You can mount only V35 MONOKEY®SIDE cases. Specific tinted screen. Sizes: 29.5 x 30.5 cm (h x w). It includes fixing kit. Also available in black and silver versions. 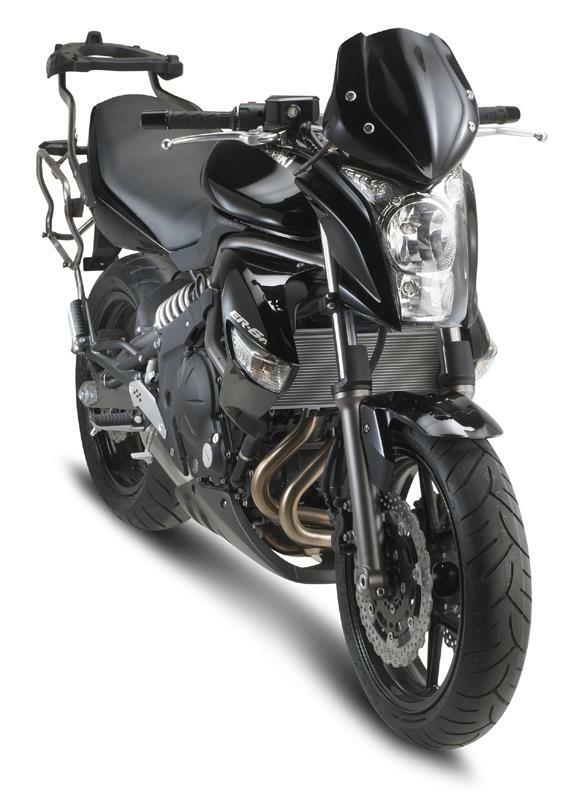 T256 - Tubular side holders for side soft bags. T440N – A compact magnetic tank bag selected for the Gladius. Volume between 13 and 16 litres. Complete with magnets, fastening belt and shoulder strap. For prices and for more information contact GIVI UK on 01327-706220 or www.givi.co.uk.